CONNECT is the S.I. Newhouse School’s student-produced, half-hour weekly public affairs television program. 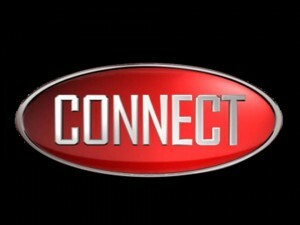 CONNECT explores issues important to the Central New York community – from drunken driving to the controversial DestiNY USA shopping mall expansion proposal. Approximately 20 students are producing CONNECT this semester. They are primarily from Broadcast Journalism, but interested students from other majors are welcome. You could be one of CONNECT’s next hosts, reporters, producers, researchers, or bookers! CONNECT was founded in 2006 by professors Hub Brown, Karin Franklin, and John Nicholson. While it is frequently evolving and changing, the goal is always to provide the best public affairs programming in CNY. This website is made possible by funding and partnership from: The Syracuse University’s S.I. Newhouse School of Public Communications’ Broadcast and Digital Journalism Department Chair Donna Hayes. Also, by our partnerships with WSYR and WSPX. This site has been built and designed by Phil Tenser, CONNECT alumnus, using the wonderful WordPress platform and modifications made to the great Mimbo Theme.